Though her slight figure and large dark eyes attest to her youth, she's self-possessed and at ease skimming through racks of clothing with the stylist, and chatting with the hairdresser about her dye-stressed hair, currently close to its natural dark reddish-brown. ("My mom's a hairdresser," she explains. "It was purple for awhile. Because I have access to it, I always want to experiment.") Cara speaks rapidly and warmly; she's affable and polite, and if she's feeling that shyness now, she's balancing it well. Cara was raised in Brampton, a quiet city just outside of Toronto whose suburban peace she credits as being part of why she focused so much of her attention on listening to and learning music. "I'd keep music video reels on TV going, and if there was a cool artist I'd take a picture of the screen or write it down and try to find them," she remembers. "Or if I heard a song in a movie or on the radio, I'd type the lyrics into Google, because this was the pre-Shazam era." She joined choir and participated in talent shows, but cites that shyness as a factor that made playing and practicing at home more appealing. The rest of the Caracciolo family -- mother, father, and younger brother -- aren't particularly musical, beyond listening and appreciating it. "I sort of found singing on my own," Cara says, "which is why it was difficult for my parents to understand why I wanted to do this for a living." 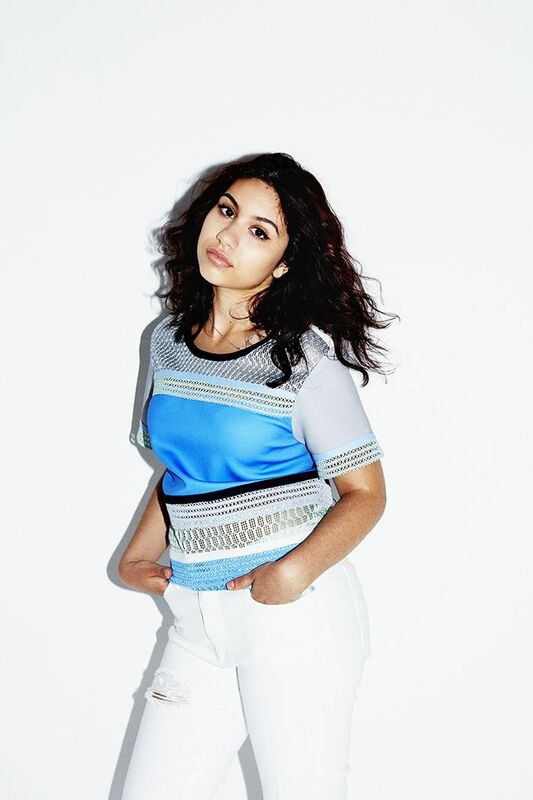 Like another Canadian pop wunderkind, she began by posting videos of herself singing on Youtube, performing songs by artists she admired, from Lianne La Havas to Amy Winehouse. Unlike Justin Bieber (who she's covered and has "always loved his songs and [is] glad that his music is proving his talent"), she did not find monster viral success with her clips. Instead, her channel served as a platform to learn how to perform -- and to learn how to get used to having people hear her.? ? While she had been posting videos since she was 13, it wasn't until three years later, in 2013, that her version of the Neighbourhood song "Sweater Weather" had a breakthrough. The cover didn't blow up online, but it did catch the attention of production company EP Entertainment, who signed Cara and teamed her up with writing partner Sebastian Kole. A year later, she was signed to Def Jam and hooked up with production team Pop & Oak, who have worked on tracks for everyone from Nicki Minaj ("Your Love") to Miguel ("Use Me") to Ariana Grande ("Break Your Heart Right Back"). Over these years, Cara honed her songwriting skills, mining her love for all genres of music for inspiration. "I want to make a sound for myself, but at the same time it's so versatile," Cara notes. "I just wanted to experiment. I want to be multiformat and I love all these genres, so why not do them?" True to that ethos, Four Pink Walls encompasses everything from anthemic pop to old-school hip-hop to the slinky soul vibes of her first single. ? That debut song, "Here," is a loungey track about feeling out of place at a party, and highlights Cara's husky, confident voice and snappy delivery. "I was just like, this needs to be said. It's so awkward and uncomfortable," says Cara about her inspiration for the tune, an actual party she attended in high school and left with actual feelings of disappointment and distaste. "I feel like a lot of people probably weren't happy. They were there just to get a good Instagram picture out of it. Great selfie, but you didn't have fun." She's still amazed by the track's success. It racked up 500,000 streams in a week when it was featured on Fader, went on to be a smash on Spotify's viral charts, and was highlighted by outlets from Billboard to Spin to Cosmopolitan. "I didn't think that people would even hear it," she says. Cara began working on "Here" with Kole two years ago, before signing with Def Jam or even really thinking of an album. "We didn't promo it, we just put it out and left it and saw what happened. Everyone just kind of pushed it up." Cara's an engaging speaker when she talks about her music and her fans, but she gets really animated when we talk about other artists -- who she's listening to, who she's excited about, who she idolizes. To that last, Amy Winehouse is Cara's alpha and omega of influencers, the first singer she was captivated by, and traces of that admiration can be heard in Cara's own delivery. When I point out that the cat eye makeup she's sporting today is reminiscent of Winehouse's signature look, she corrects me: "[Winehouse] owns the cat eye. It's not even a cat-eye, it's like a lion-eye!" But while she reveres Winehouse's talent, Cara is clear-eyed about the negative sides of her career. Of course, she's seen the documentary Amy, which was released this year and offers a window into the British singer's struggles with fame and addiction. Cara talks candidly about the ways in which it touched her, both as a fan and as a musician. "I'm new to the industry and I'm a female, and the things that she was saying resonated because I feel the same way, especially about her being terrified of being famous and not being sure she could handle it," Cara shares. "That's still my fear. Because I'm so shy and kind of introverted. It was kind of like a cautionary tale for me." 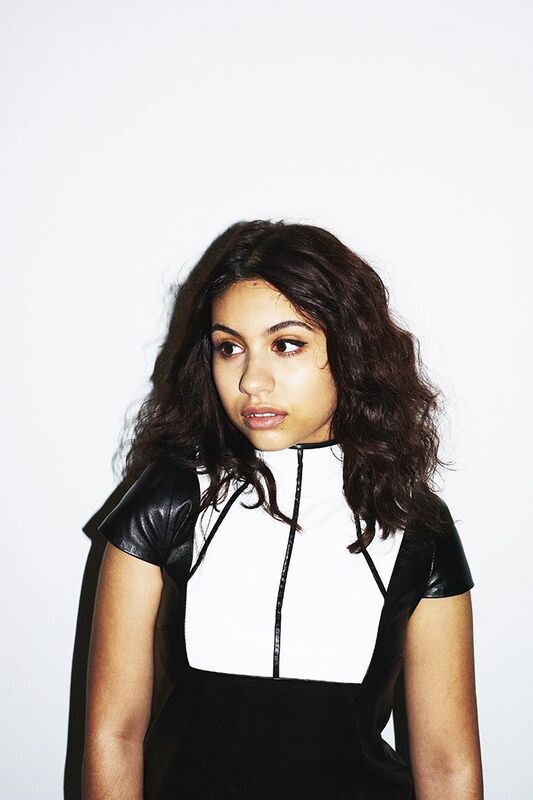 Alessia wears a leather dress by Leka ????? Of course, getting your mainstream break as young as 16 has pitfalls beyond becoming a tabloid trainwreck, particularly with respect to getting respect. Cara has very definite ideas about her work, and involves herself in every aspect, including visuals and merchandise. "I think it's about how you let people see you, and how you carry yourself," she notes. "They're seeing that I'm serious about what I'm doing, and I'm not just a girl who wants to do things for fame." She wants to follow the examples of artists she feels have navigated the treacherous waters of early fame, noting that Beyonc? ?, Justin Timberlake, and Lorde all appear to have found a successful balance while remaining unscathed. Cara's seriousness about her work -- she's constantly writing down ideas for songs, and is trying to add drums to her repertoire of instruments, which currently includes guitar and ukulele -- is genuine, but it didn't stop her from enjoying and engaging in adolescence. When first signed with EP, in fact, she didn't even share the news with any of her friends. "The hardest part about it was trying to sneak around and juggle school and the studio at the same time," she notes. "I still wanted to experience high school in its entirety." Cara hit those high school milestones, going to prom and graduating, even applying to college, despite hoping she wouldn't have to go. "I always knew music was going to be my Plan A, and everything other than that would be settling," she says. "Deep down I was praying for a shot at this."??? ? Her shot has certainly arrived. The next few months will see her continue the full-court press, with plans to perform and tour, and a full-length album, Know It All, coming later this fall. But for all her self-possession and maturity in the face of this sudden slingshot to fame, there are still moments that leave her wowed. Cara cites a July appearance on the Tonight Show, where she performed "Here," as one of her biggest career highlights so far. "It was like, very, very surreal. I still can't believe I did that," she says. "[Fallon] came back stage before the show to say hi. It's so weird, because I watch that show all the time! It was really, really, really amazing." Undoubtedly, there will be more amazing moments ahead. Cara is truly "here," and with Four Pink Walls rising as high as number six on iTunes's charts a day after its debut, it looks like she'll be staying.